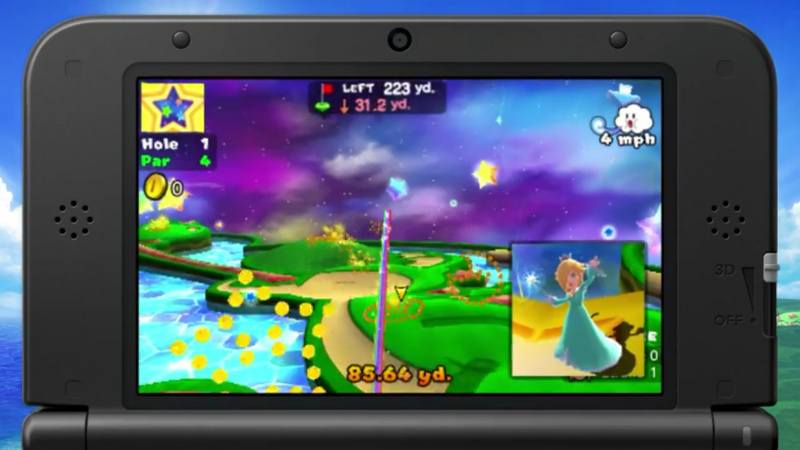 If you happen to be a 3DS owner that lives in North America, this week has been particularly exciting due to the arrival of Mario Golf: World Tour and Kirby: Triple Deluxe; gamers in Europe can also hit the golf course, with Kirby on the way on 16th May. Both are rather irresistible in their own ways. Nintendo has celebrated the releases with multiple trailers in the past couple of days, so we thought we'd put them all in one convenient spot for you to enjoy. The first two are focused on the latest Mario Golf title, including a trailer focused on the DLC packs, while the latter three are kicked off by a Nintendo UK video introducing Kirby ahead of the mid-May release in Europe, followed by launch efforts for North America. The final video has an extended version of the awesome 'Dies Irae' music that's been re-written with Kirby lyrics. Have you been playing these games this weekend? If so let us know what you think. The Kirby Unreleased trailer and Mario Golf DLC trailer is nice. Nice, but I'd prefer to see a lot more ads for Wii U games (past, present and coming) and the console itself. I want to buy both but cant right now. Woe is me. Been playing lots of Kirby and loving it, so far. I adore whoever came up with the idea for that choir. Wish I could buy triple deluxe. I might get some of the Wii Kirby games I missed out on in the meantime. That Kirby song. I love it. I want to buy it on iTunes. Now. But I wanted Rosalina in a short dress! That's it. I am not getting the DLC and returning the game as soon as it arrives. I am kidding. I ordered both of these games and they look great. Both games are terrific! I bought both on Friday and have been alternating between them both, depending on my amount of playing time I have available. Hard to choose either Mario or Kirby because I grew up with both of them. Got Kirby friday and it's great fun. I love the circus power so much. That last kirby one... wow talk about the best trailer i've ever seen!! Get it on the TV! I'm glad they decided to put the shorter Kirby song on tv, but it's still very impressive. @Genesaur How would you compare your opinions on the game, compared to reviewers (I'm in Europe, so I have to wait to play the game)? Also, as for someone who is new to Kirby (this will be my first), would you recommend it? I've already gotten to world 5 of Kirby, and it's a really fun game! I especially like Kirby Fighters as it's a good way to wait for Smash Bros. on 3DS. I've had my hat handed to me many times on very hard mode. Can't wait to unlock some more modes once I beat the game, but I hope Meta Knight at least makes an appearance somewhere (besides being one of the balloons that circus Kirby inflates). @Klunk23 My favorite is the Ninja power, although you really can't beat the sword and fighter powers either! I love this trailer haha.Especially the extended AAAAAAAAAA sections! @Chubblings Definitely great for a first Kirby title. That or Nightmare in Dreamland makes for a suitable introduction to the series. Actually, that might have been the intent behind this game. It's a minor annoyance, but the only thing I don't like is the rather forced-in tilting segments. They're very brief when they do show up, so it's not a big deal. Of course, the game is super easy, but lots of fun. Besides, Kirby Fighters is great, and Dedede's Drum Dash is actually pretty challenging, for what it's worth. Overall, if co-op multiplayer is not your concern, Triple Deluxe is better than Return to Dreamland. Definitely glad to own it, myself. Ok, thanks for your comment. I really appreciate you replying, as originally I was hyped for the game, but reviews made it a bit shaky, and I was considering starting on another Kirby game (Nintendo Life even gave it a 7). However, after seeing some opinions from different people, I know this is a must-buy for my 3DS and hope that this gets me hooked into Kirby series.